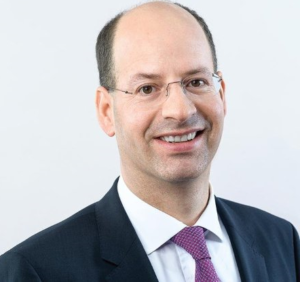 Protectionism is a “lose-lose situation” and its impact on both global reinsurance players and policyholders alike is not positive, according to Swiss Re’s Chief Economist Jerome Haegeli. In a recent conversation with Reinsurance News Haegeli spoke positively about the current state of the reinsurance market, but warned against the trend of protectionism and its role in what he described as a global economy lacking resilience. “Our hope is that multilateralism prevails because it means a common set of regulatory rules which are consistent, fair and predictable,” stated Haegeli. The issue of protectionism, of which escalating tensions between the U.S and China are a centrepiece, has been raised by Swiss Re before. In September, the reinsurance giant released a report titled ‘Protectionism on the rise, and here to stay,’ which highlighted its potential to cause a global recession and long-term trade decline. Haegeli was upbeat in regards to the current state of the reinsurance market, but underscored the importance of continued innovation and public-private partnership. “I think if you look at the protection gap, be it on the pension or nat cat front, you’re going to need a public-private partnership,” he added.